Professor Barrie Axford is Professor of Politics and the Director of the Centre for Global Politics, Economy and Society at Oxford Brookes University, and a Senior Research Associate at Oxford XXI. Professor Axford serves as a member of the International Editorial Boards of the journals Telematics and Informatics, The International Journal of Electronic Governance and Globalizations, and is in addition a member of the Executive Committee of the Global Studies Association. Professor Barrie Axford is Professor of Politics and the Director of the Centre for Global Politics, Economy and Society at Oxford Brookes University, and a Senior Research Associate at Oxford XXI. Professor Axford serves as a member of the International Editorial Boards of the journals Telematics and Informatics, The International Journal of Electronic Governance and Globalizations, and is in addition a member of the Executive Committee of the Global Studies Association. Barrie was recently a member of the project team for a programme of collaborative pedagogic research funded by the Higher Education Funding Council for England (with Coventry and Warwick Universities) entitled “The Scholarship of Engagement for Politics” (politicsinaction.ac.uk), based on engaging students of politics and international relations with the real world of politics. Barrie recently completed the book Theories of Globalization (Polity, 2013), and editing Oxford Brookes’ conference proceedings into the book Cultures and/of Globalization (Cambridge Scholars Press, 2011). Barrie began his career at Stanford University between 1970 and 1973 as Tutor and then Assistant Adjunct Professor on the Overseas Studies Programme, before becoming Lecturer in Political Sociology at the University of Southampton. 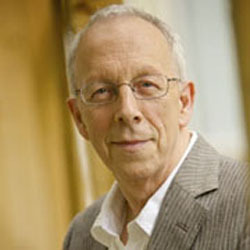 At Oxford Brookes University, Barrie was the Director of Research for the School of Social Sciences and Law and the Head of the Department of International Relations, Politics, and Sociology before he took up his present position.